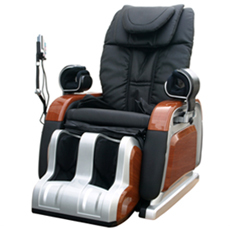 Smart 3D backrest rollers fits your body contour dynamically to perform most comfortable and effective massage. Before each massage, advanced sensors built into the R700 will perform an upper body scan to ensure the best possible massage for each individual user. This advanced technology measures your back contour and shoulder height at the same time. There are sensors built into the foot part of the leg massager. The sensors detect leg length and the legrest will be extended to the comfortably adjusted position. The position can also be fine tuned by the handset. 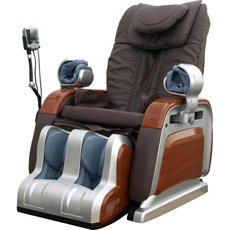 Air bags are installed to perform massages on the parts where the backrest roller cannot reach. Air bags can gently massage your arms, thighs, legs, calves and feet. Listening to relaxing music is universally accepted as great way to unwind. With that in mind, the R700 comes with an incorporated MP3 player , built-in speakers and head phones. Download your favorite songs off of your computer and onto the provided SUB flash drive, plug it to the back of the chair and sit back and relax. The comprehensive control panel for the R700 is just as stylish as the lounger itself. An LCD display is a must have item for any high end lounger and our display will please even the most discerning client. 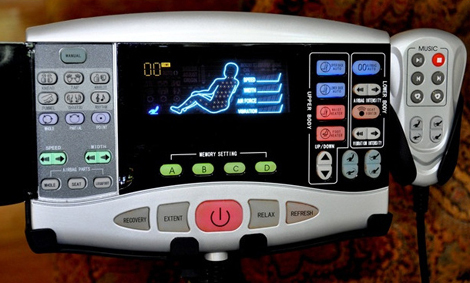 Without being overwhelming, our panel displays massage modes, massage locations, pressure points being massaged, vital massage functions (style, speed, intensity). The removable cover makes cleaning easy and can be replaced if damaged. located on the rear of the chair make moving your lounger easier.